Modular Keyboard is Multi-lingual keyboard from creators of Shree-Lipi. It is the most popular Keyboard Layout used by thousands of users just like you! Modular layout is scientifically created layout for Indian languages based on most frequently used letters in Indian languages. Popular desktop layout design is optimized for mobile users for easy and fast typing. Available on Google PlayStore. Click here to install now. Switch between Primary language and English language with a single tap. Compose your messages with multiple languages with ease. Uniquely available Smart Matra feature reduces typing errors by preventing unwanted key combinations. Now get your favorite 3rd layer characters on mobile keyboard! 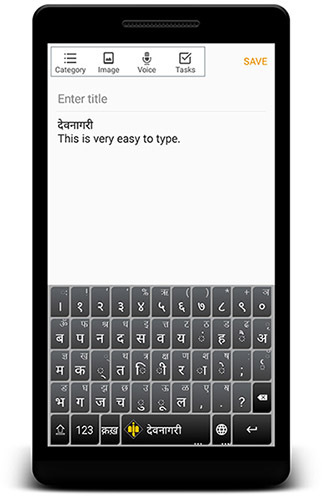 Type effortlessly in Hindi, Marathi, Sanskrit etc. using language specific characters. Only available in Modular Keyboard. Use backspacing to your full advantage to remove unwanted content accurately and swiftly. Write to us . Tell your favorite keyboard layout and we might add it. Please subscribe to our Newsletter to know about feature updates.